Hi folks, I could realy need some help on a project I want to do in the future. I live in an apartment with an ancient door phone/intercom system, I essentially want to replace the door phone with a tablet like raspberry pi 3 setup and a nice UI frontend, retaining all the functions of the door phone, ie. doorbell, unlock the front door, and possible talking to the person on the outside. The problem is that I don’t know anything about how the system works, other then it must be a simple analog system, however I don’t want to end up doing any harm in the process. 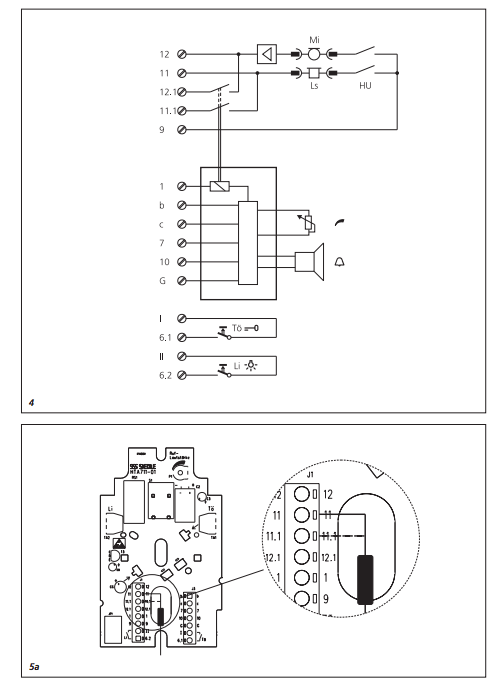 I found this schematic for my exsisting door phone (its a Siedle HTA 711), maybe somebody can help me understand if its even possible to connect to a pi’s GPIO? It shouldn’t be that hard but will require a little soldering and the destruction that causes. The diagram show screws so you might just attach the wires to those screws. I would add a wire to each side of every switch to a relay and the relay to my pi. This would just simulates you pressing the button and closing the circuit. For the audio, I would try to solder the mic wires to a mini plug and put that into the pi to see if I could hear it. To be honest, I think I would leave the out the audio as in practice it don’t think it would be usable or audible. Thanks @RobDYI I might clarify that I intent to remove the door phone completely as it is old, ugly and in the perfect position for the PI Tablet. How do you understand the wiring for the doorbell function? I’m a complete noob when it comes to understanding wiring and it makes no sense to me how that part works. Ok, I see others are trying the same. Here says Doorpi will do it stand alone. I have seen the DoorPi project before, its really neat and all. I don’t think it really helps in my case, it just adds complexity. Did you figure this out? I need to do same and hack my door intercom. I know which two wires to trip. But I need something that connects to HA and capable to simulate a button press release . Any ideas? Not yet, I don’t feel to confident messing with it yet, but my plan is to just connect it directly to a PI, using some of the signal pins sending it to HA over MQTT, I also think you can use an arduino. Your system is called 4+n. It is fully analog system with 9VDC signal and 12VAC power supply. 6 - call wire (12VAC from b contact? to call the buzzer). Not common system for me to handle but i remember I managed to triger the call by short circuit either 6-11, 6-b, 6-7 or 7-11. Try nothing to loose the equipment is strong enough to survive shortcircuits for the short time. I hope this will help you somehow. Those are major wires in the system. Since HTA-711 has chime bell (never seen it live but believe it has) you can ignore contacts like 10, 12, G. They are to power chime. 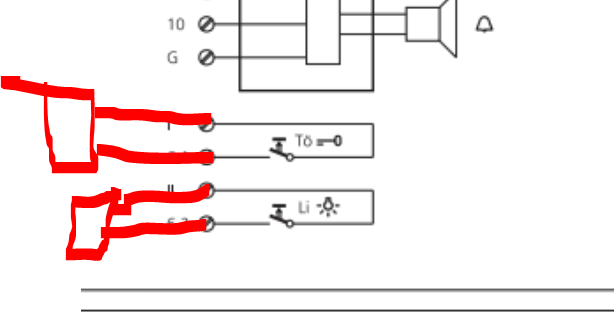 Contacts To, Li are usually used to open the gates/doors using phone buttons. Sorry for hijacking this thread but is there anyone who knows if I might be able to make my intercom system smarter? I.e. opening the front gate from the HA app. It’s a BTicino Sprint L2. The system uses only 2 wires, for both way audio and somehow opening a door relay. I hooked up a voltmeter to the 2 wires and there seems to be 28V AC tension on the 2 wires.